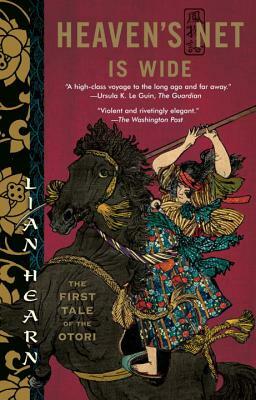 The new beginning and the grand finale of Lian Hearn's celebrated Tales of the Otori is "rivetingly elegant" (Washington Post). Don't miss the related series, The Tale of Shikanoko. Heaven's Net Is Wide is the prequel that reveals the full story of Lord Otori Shigeru—the figure who has presided in both life and death over the entire series, the man who represents the true spirit of the Otori Clan. The first and the last tale, it introduces readers to the strange and beautiful world of the Otori and closes the circle where it opened in Across the Nightingale Floor. Set in a mythical, medieval Japan, this epic historical fantasy of revenge and betrayal, honor and loyalty, beauty, passion, and the overwhelming power of love, has enthralled millions of readers the world over—and now, with the cycle complete, its audience will only continue to grow.